Boston College standout Megan Keller is one of the top women’s defenders in the world. 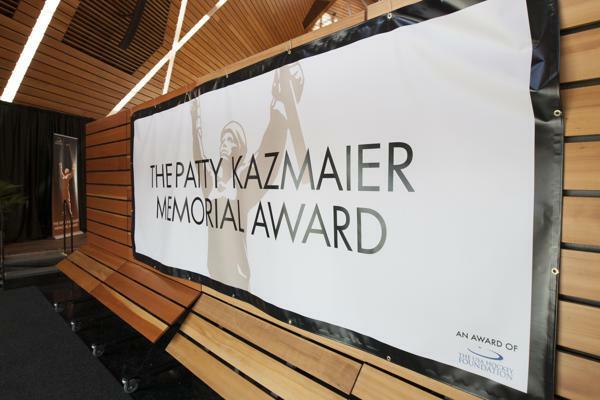 And for the third time, Keller is in the conversation for the prestigious Patty Kazmaier Award, presented annually to the top women’s college hockey player in the nation. But Keller admits she wouldn’t be where she is in her career without the help of her teammates and coaches. Keller first appeared as a top-10 finalist for the Patty Kazmaier Award during the 2015-16 season as a sophomore when she set the single-season program record for points by a defenseman, tallying 12 goals and 52 points. That season, she was the first defenseman in program history to collect at least 50 points, led the nation in plus/minus with a plus-64 — also a program record — and ranked ninth nationally among all skaters in points. Keller was also a top-10 finalist for the Patty Kazmaier Award as a junior, and the first-ever defenseman to earn the Cammi Granato Award as the Hockey East Player of the Year. She led all defenders in scoring for the second straight year with 10 goals and 39 points. Keller, a native of Farmington Hills, Michigan, also appreciates being in the mix for the annual Patty Kazmaier Award. Keller did just that during the 2017-18 academic year when she took a leave of absence from Boston College to live in the Tampa, Florida, area and train with the U.S. Women’s National Team. Keller helped the U.S. capture a gold medal during the 2018 Olympic Winter Games in PyeongChang, South Korea. She led all players in shifts, was second in ice time and tied for the team lead with a plus-5 rating. Keller most appreciated the outreach, support and number of lives the experience affected. For now, Keller is helping to grow the game at Boston College. She owns the Hockey East single-season and career points, goals and assists records for a defender. Keller, the sixth player in program history to score 150 points, established a new career high with 17 goals and 39 points through 30 games, good for 11th in the nation, but tops among all defenders. She was the fifth in program history to reach 100 assists earlier in the year. Keller, the Hockey East Player of the Month for January and the league’s most recent Defensive Player of the Week, ranks top 15 among all skaters in goals, assists, power-play points, game-winning goals and points per game. Keller said she doesn’t pay much attention to her records and individual accomplishments. For now, the standout senior is focused on a strong finish to her career with her teammates at Boston College. Story from Red Line Editorial, Inc. Photo courtesy of John Quackenbos/BC Athletics.